RoboJob - designed for and by the machining industry. RoboJob - a supplier who speaks the same language. Last year, RoboJob celebrated its 10th anniversary! We are a company which disposes over the neccesary knowledge to develop your individual automation solutions - thanks to our sistercompany Aluro CNC which has more than 25 years of experience in the machine industry. With the arrival of Helmut De Roovere, the company was able to access a great deal of robotization knowledge. Together with his former colleague Luc De Ceuster, he focused on developing ground-breaking robot systems for milling and turning machines and, in 2007, this resulted in the foundation of RoboJob. 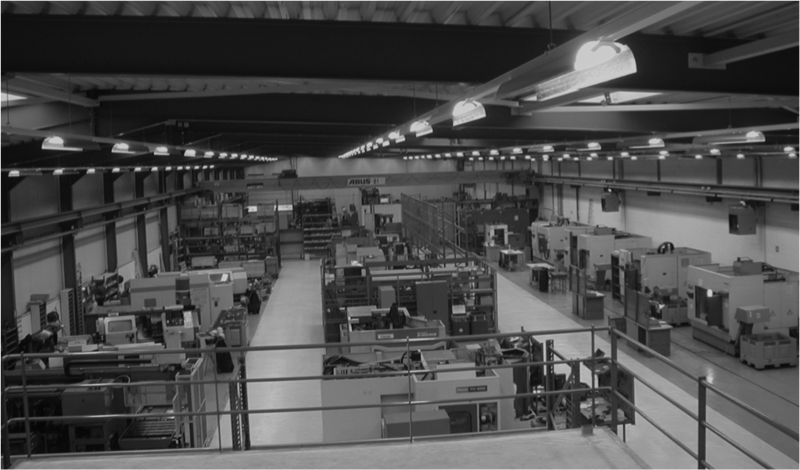 As a subsidiary of the Aluro Group, the company is able to rely on 25 years' experience in the machining industry. 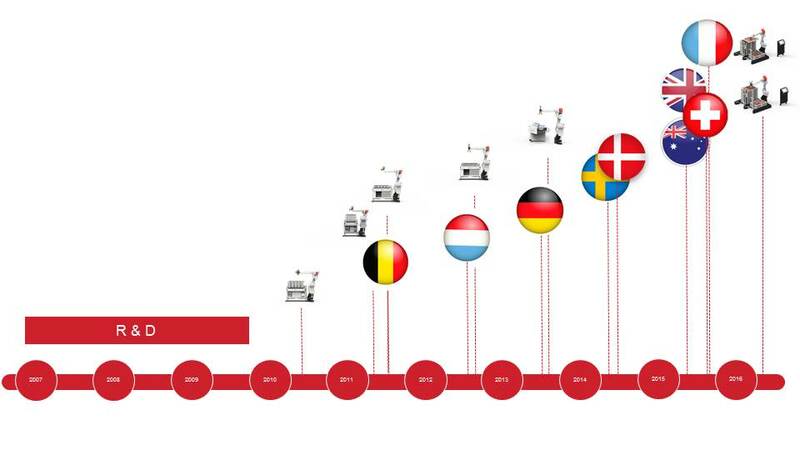 In terms of designing, manufacturing, installing and maintaining industrial machines, the founders of RoboJob have been international pioneers for over 20 years. The main focus of RoboJob is Research & Development. Our Software colleagues build the most user-friendly interface, with by far the most standard functionalities. In addition, our colleagues in the mechanical and electrical team are responsible for developing new standard products and modular extensions. Together they are responsible for the continuous innovation that is fundamental in our corporate culture. As a customer, you will benefit from it: you can count on a wide portfolio of standard automation solutions, with the fastest set-up and changeover times. A team of Area Sales Managers forms the commercial hatch: each of them has a geographical region under his responsibility. That way, you know who you can get in touch with at any given time. Your Area Sales Manager is the point of contact for existing and new customers. Of course, these men have the necessary technical skills to assist you in the best possible way. In addition to supporting existing and new customers, our Area Sales Managers are also the point of contact for our Dealers. These RoboJob partners also organize numerous fairs and events, as well as commercial actions for their customers. The majority of our installations are still executed by RoboJob. In addition, we work with well-trained, certified installation partners. Thanks to more than 10 years of experience, the installation of your RoboJob automation product is easier than ever: installation takes only 3 to 4 days, including half-day training on-site. After that, you can start working independently. Do you have a question or a technical problem afterwards? Then you can contact our Service Team. One of our Service Engineers will assist you by phone whenever possible, or at your production site whenever it is needed. That way, we continue to assist our customers, even after installation.